TGIF. This week seemed to drag on, and I’m more than ready for the weekend. It’s been so busy around here lately that I could really use a couple of days to relax. I’m going to be checking some things off of my (never-ending) to-do list. It always makes me feel better when I go to bed on Sunday night feeling like I’ve been productive. And hopefully, somewhere in there, I’ll manage to squeeze in some pool time. I’m headed to the beach next Wednesday (hooray! ), and I could really use a little color so that my skin doesn’t look quite so ghostly. 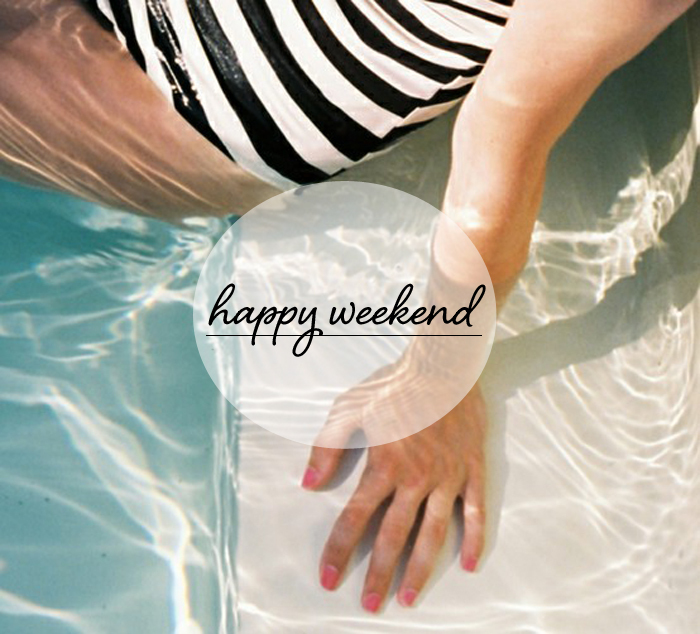 Here’s a to relaxing and productive weekend! Yay for Fridays! I love that J.Crew stripe suit!! That suit is awesome! I wonder where it is from… Enjoy your pool time!